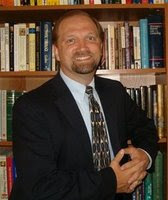 Bob Kellemen, author of Soul Physicians and Spiritual Friends was interviewed Wednesday, January 30, 2008 on Prime Time America, broadcast on over 250 stations on the Moody Radio Network. To listen to the archive of Dr. Kellemen’s interview about the current state of Christian counseling, click here. His interview is toward the end of the program, at about 1:31. Dr. Kellemen will present a lecture next week at Grace College based on his book Beyond the Suffering: Embracing the Legacy of African American Soul Care and Spiritual Direction. On Wednesday, February 6, he will speak at 6-8:50 p.m. in Mount Memorial 007. His lecture will be part of the Social and Cultural Issues Class. To learn more about Soul Physicians and Spiritual Friends, click here.